Pros: I would recommend CCI to anyone! We love Sue, and her family. The staff at CCI are all very good about getting back to us with any questions we have, and Sue is in regular contact with us about our adoption process(even when it is halted for what ever reason). This is our 3rd adoption through CCI, and while it is taking a lot longer than our first we know, love and trust Sue and all the CCI staff. We are one of several pilot families for a new DRC program, and were told up front it could take a lot longer for us with it beign a brand new program. It has, but Sue has kept us up to date on our process, and we are very satisfied with our experience. Sue called us personally the moment she heard that the unofficial referrals fell through, due to living relatives(this was NOT CCI's nor Sue's fault, but the Social Worker not getting the children cleared before telling Sue that they were pre approved and adoptable). We lost a 3rd referral for the same reason(a living relative was found). We are glad CCI does their research, and while it was VERY hard for us to lose those referrals we were very glad CCI was doing their due diligence in the case of those three beautiful children! We finally received a (really)pre-cleared referral of a 10 month old girl from DRC and are currently waiting on a court date and then travel dates. Cons: No cons with CCI personally. There have been hiccups in our current adoption, but no fault goes to CCI or Sue. It is a new program, and as such is still working out kinks and communication issues with the DRC Lawyers and Social Workers. Any time there is news, we are contacted either by E-mail or phone. Pros: CCI and it's staff were wonderful to work with. We received 2 refferals for 2 beautiful infant boys, which we accepted in August and September of 2009. Our adoptions were completed by the 2nd week in January 2010, we went to pick them up the end of February 2010! It would have been sooner but the courts were closed for the rainy season in December. We are now in process of our 3rd adoption through CCI which I will post after I complete this one, and an identical one for my 2nd son. Pros: CCI's board president, Don Kovak was very kind and understanding of our concerns about the agency. However it was quite a feat to get ahold of him, as the agency refused to share his contact information with us. By the time we googled his name and found him at a work number, it was too late and our contract had already been terminated. Cons: We fell in love with a little girl from Ethiopia through a photolisting site, which is how we were referred to Celebrate Children International. At first everything seemed great, they were really responsive to our questions, until we started asking the hard questions, like whether CCI had protocols in place to make sure children and families were not being exploited. We also asked why CCI was denied Hague accreditation, which was extremely concerning to us, and CCI refused to answer us. When we started asking these difficult questions we were kicked off the agency's Yahoo group without explanation and our client login was disabled. We have been in contact with 4 other, reputable adoption agencies operating in Ethiopia, and they have all confirmed that the manner in which the children were obtained by CCI is not only unethical, but illegal in Ethiopia. We hoped the agency would work with us so that we could pursue the adoption with better protocols in place. Unfortunately CCI refused to comply, then blamed us for 'holding the children up'. Celebrate Children International has poor record keeping, they are evasive, inconsistent, and defensive. When you press for answers and get into conflict, it is not pleasant. We pressed to the point of terminating our contract in hopes of pursing our kids through another agency. They have not cooperated. We have asked for our $5000 back, and after 4 weeks of asking, we still have not received our refund as of Nov 1, 2009. CCI was denied Hague accrediation. They are under investigation by both the country of Ethiopia and the Florida Department of Families and Children for unethical practices and for not being upfront with thier clients. Their tax recrods are public and I encourage you to look at them. Reviews: We would never recommend this agency. I was on this very site a few months ago reading and being critical of the negative reviews of what I thought was a wonderful agency. Now, over $5,000 later, I am wishing we would have heeded the warning of these other former clients. Please. 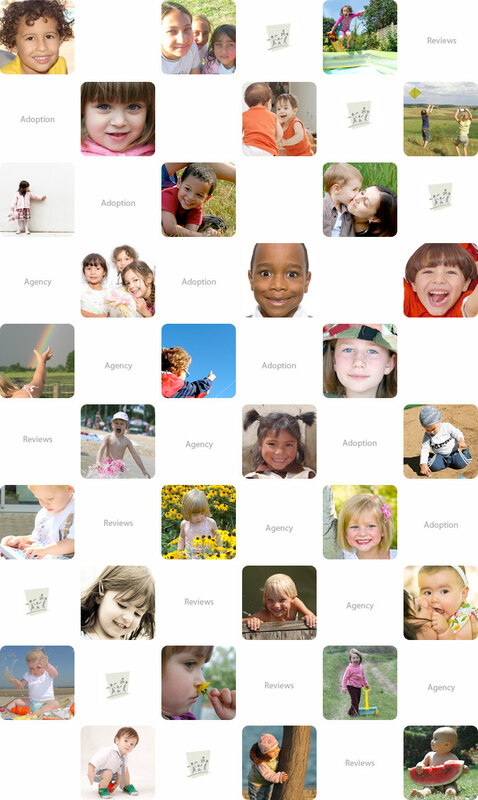 Don't do like we did and fall in love with a child off of a photolisting site before checking out the agency first. And don't assume that all the negative reviews all over the internet are just an attempt by one disgruntled family to smear an innocent agency. People are not going to waste their time filling out silly forms and writing reviews unless they are trying to send a warning to other potential adoptive parents. Please listen to them. There are many reputable agencies out there, why would you pick one that is not? Pros: The only pro about this agency is that it did not receive Hague accreditation -- twice. Cons: This agency needs a government audit of ethical practices. There are some serious problems here. Reviews: I have completed three Guatemalan adoptions with three agencies, and this was by far the worst, in my opinion. Throughout the whole adoption process, I never saw one agency employee despite several visits to Guatemala. The agency director, Sue Hedberg, has an approach to her business (and make no mistake -- it is a business) that is scattered at best. The problems with my adoption are too lengthy to go into, but the worst are that my child was maltreated in the foster home in which the agency placed the child and my child was not an orphan in the first place. CCI's approach is to blame others for their problems. If you choose this agency and have a smooth experience, you will should consider yourself lucky -- many, many have had experiences similar to mine. The mark of a good agency is how they help you through rough spots. When CCI refused to help me with a problem (they told me they were done with me, and I had to work it out with the attorney), I asked others for help. For this, CCI banned me from their agency yahoo group without notice. Not only did I NOT receive much-needed post-adoption support, but also I never heard from CCI again, except to request a copy of my homestudy, which they lost. With so many agencies to choose from, why choose one like this? Pros: The ONLY positive thing about the proccess with CCI is that I did finally get a child home ( my 3rd referral), and she is beautiful and happy and a blessing to my life! Cons: I began the process in December 05 with CCI and accepted the referral of an oloder child. After 9 months, and no progress on the case what so ever, the agency staff called to say we lost the referral. We accepted another referral, a toddler and began the process and wait, once again! Sadly, 4 months later, a staffer called our home on the morning we got PA from the US Embassy, and told us that we had now lost this child and would no longer be able to adopt her! Devastated, and distrustful, we allowed this agency who had partial fees paid and our dossier, to offer us yet another child. We were told that if we took this infant (only 8 weeks old), the process would take about 4 months and no longer than 6 months beacause we had already been through so much as a family, and she had the best attorney in Guatemala! So... we jumped in again! We brought this walking , talking toddler home over a year later! Our fees changed 4 times during the entire process. Using this agency cost us a lot of extra money because the agency director refused a medical evaluation we requested after talking to our Dr., so one of us had to go to Guatemala, and hire a Dr. there to do the evaluation. That trip was over $4K . We also had to hire an extra attorney in country to finish the adoption due to the total neglegence, and lack of progression in the case, from the attorney's CCI hired. We were told the first child was lost in Guatemala and there was no information on her. We had aways hoped to find her and restart the adoption. 5 months later, the agency suddenly knew her location and said the adoption could be done for only $3K, then was changed back to $17K. Already committed to a full feed infant we could not afford a 2nd adoption. We continued to search for the 2nd lost referral and also hopped to be able to still adopt her as well. We kept saving $$ for these other adoptions and kept looking for the children lost to us. After arriving home with the 3rd referral, we realized that the birth mother of the toddler ( our 2nd referral) was also searching for her child who had been kidnapped from her along with a baby sister born by C-Section under force of men with guns! Last February, a judge in Guatemala City believed the truthful tesimony of the birth mother and was able to match her children to our referral, he returned the children to this birth mother that very day! So we were offered a child for adoption who was not given for adoption in agreement with her birth mom! We find this practice tragic and the needless separation of this family and hearache for us is trully sickening! This agency was horrible with communication, and not professional at all. They didn't even try to be professional!!! They also threatened our 3 referral if we did not stop asking questions about our 2nd lost referral. They attenpt to rule by intimidation. I found nothing about them Christian, as they claim. I found it insulting for them to question my faith when I asked about the progress of my cases. I found it laughable for them to tall me to go play with my other children ( I have 7) when I conplained about the lack of progress or length of time in my cases! I was once told over a year into the process, that priority was given to the cases of childless couples!! Whoops... that was not in my contract! I had got emails back from other clients several times, when they were sent to the director! When I complained, I was told she simply could not keep up with her emails! One post referred to our financial information!! whoops, other clients will answer your emails... was also left off the contract! I have adopted 4 other times with 4 other agencies and NONE of them acted like CCI. They were all easy to work with, had good communication with us and behaved like professionals. They were Holt, Dillon, Childrens Home Society of MN, and Children's Hope International... all were wonderful. Our experience with CCI was a joke! I am leaving out about 1000 things just to keep this to a readable length!!! Reviews: I would NEVER use this agency again! Pros: Celebrate Children, International offers clients a twice-weekly chat group and Yahoo group to allow for interaction and support among its members. ***I understand now that not all clients have access to the groups. It is at the discretion of its director, Sue Hedberg. Cons: Celebrate Children, International, from its director to its case managers, is a poor agency. It frequently uses scare tacts to manipulate clients, and Sue Hedberg, the director of CCI, does not hold her in-country contacts to any sort of standard regarding accuracy and timeliness of information. On several occasions, I received information that I knew to be incorrect, and since the adoption, I have found several points of inaccuracy regarding our adoption timeline. The case managers, who act as the liason between Sue Hedberg and the clients, simply offer information to pacify the client instead of investigating and reporting accurately. On one such occasion, our case manager reported at our every inquiry that our case was in PGN (the high court of Guatemalan adoptions) without a previo (a mistake that must be corrected or further information the court requests), which indicated that the adoption of our son would be finalized soon. Months later, four to be precise, our case exited PGN, having had two previos. According to the CCI-client contract, clients are to receive weekly updates on cases, even if there is no new information to report. I must say that I never received such updates; on the contrary, I had to email and/or call my case manager and Sue Hedberg to find out any information. Of most concern to me were the medical reports. The children visit the doctor monthly, and after the doctor writes his report and sends it to the attorney, the client is to receive a copy. Our reports were always four or more weeks post-visit, and on one occasion, I believe I received a falsified email from my case manager, reporting that my son visited the doctor on the wrong date and gave inaccurage weight and height measurements. I believe this was done because CCI did not want to insist that the attorney send the correct medical report. My case went smoothly compared to many CCI clients with whom I have contact; several others I personally know were asked to take psychological evaluations because they questioned Sue Hedberg about information they did not receive or called her into question regarding misinformation. She simply wanted to force these clients into compliance. This practice is not only illegal but unethical. I did not enjoy interactions with Sue Hedberg. I felt as if she belittled me and did not respect my questions. I often avoided contact with her in fear that she could/would jeopardize my case. Reviews: I DO NOT recommend this agency to anyone.